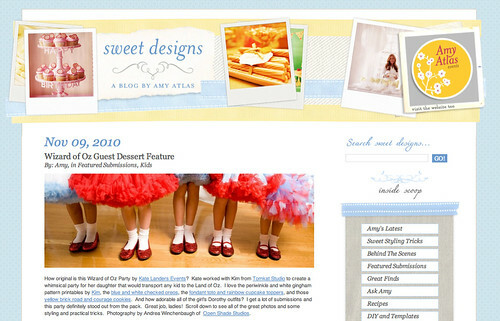 You get a magical collaboration special enough to be featured on Amy Atlas Events yesterday! 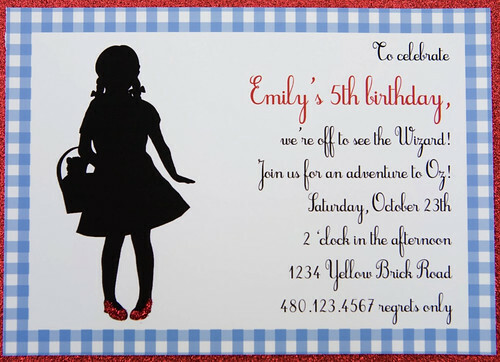 Can I just say I'm always beside myself when I see the designs I create brought to life through party printables by Kim! I can't tell you enough how fortunate I am to have connected with Kim and to have been able to collaborate on several of her designs. She's SO talented and sweet and beautiful and I can't wait to hang out with her in NYC come January. 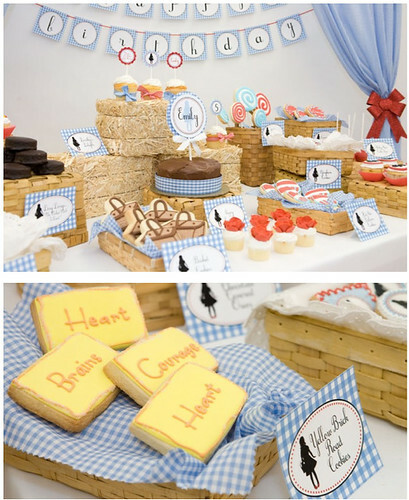 • the cookies from Queen of Tarts Cakes created using the Dorothy silhouette & printables by Kim...CUTE!! • the coordinating designer oreos from one of my fav vendors..."Sweeties by Kim"
You'll LOVE pouring over the FULL party details on each of their blogs. 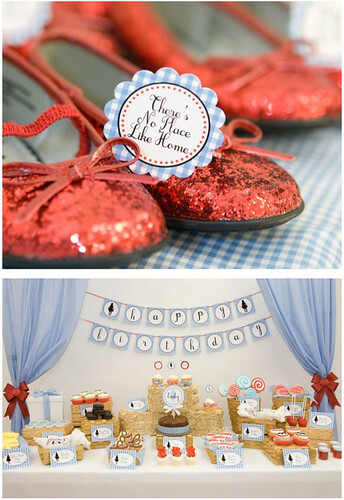 They are also hosting giveaways associated with the party as well. Thank you Kim and Kate...I'm thrilled to have been a small part of such a wonderful collaboration between two incredibly talented women! I've been anticipating this for months. and I didn't have any other details. I was completely surprised and thrilled to see it all put together! Last day to enter is tomorrow...Thursday, November 11th. What an amazing party! All the details came together absolutely perfect! 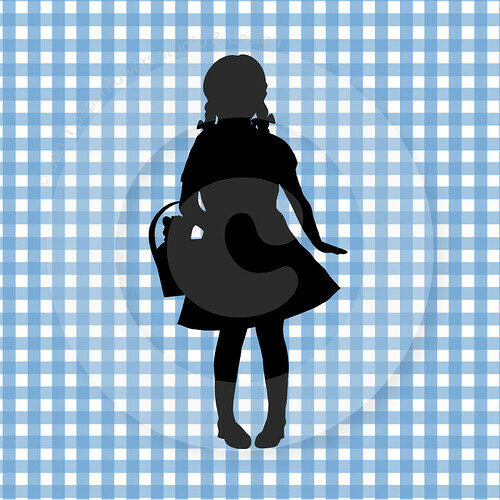 I love the Dorothy image you created!!!!! Jess, you are amazing. 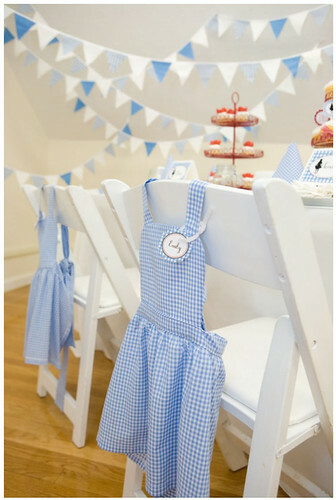 I *love* my logo you designed (PERFECTION) and the Dorothy silhouettte and gingham patterns for Kim's collection. You really are huge creative talent, and it is a pleasure and honor to not only know you, but to work with you. You are quite the party stylist yourself. I hope we can work together again on another project soon! THANK YOU for your huge part of this party! Wow, the Dorothy and pattern are great! Loved to see them brought to a real life party by Kim and Kate. Your silhouettes are becoming the big deal! Congrats! This is so cute! I just stumbled upon your site and I'm already addicted! Great stuff!